Let our garage door openers do the work! It&apos;s the 21st century, and nobody should have to get out of their vehicle to manually open their garage door anymore! Instead, enjoy the convenience of being able to open your door remotely from the comfort of your car. Avoid the rain, snow, and cold weather by getting out of your vehicle and straight into your garage on nasty days. Save time when you&apos;re in a hurry! 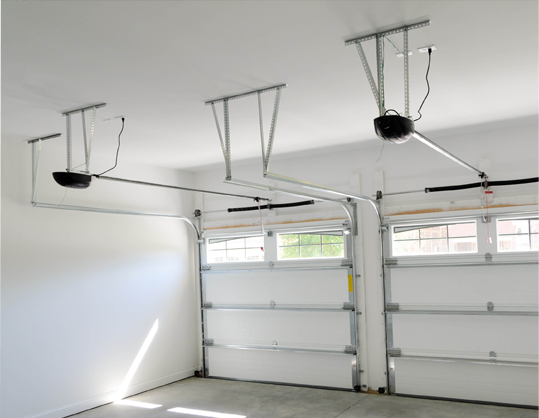 There are a lot of benefits to owning an automated garage door opener from ATD Garage Doors. Our bonded and insured team of pros is not only knowledgeable and experienced at garage door installation, but opener installation, as well. Get a FREE estimate for installations and repairs! A great new garage door will not only add to your convenience by letting you access your garage quickly and easily, but it will also provide extra value and security to your home, whether you choose a rolling garage door or a single panel garage door.